Monday 12th November 2018 is the start of this year’s BBC Children in Need Appeal Week. Our school is excited to be joining many others around the UK to participate in the fundraising programme. Individual classes will be taking part in a variety of fundraising activities. However we would also like parents, carers and friends to come along and join in with our ‘coffee and cake’ event at our Birch Wood Vale site, Burton Road from 2pm on Friday 16th November. This is open to all. We will also have a tombola stall run by our students. Students are welcome to wear something spotty and/or Fancy dress on the Friday. For anyone who may have seen the date of the school photographer this has now been changed to Monday 19th November as there was a clash with Children In Need. If you are able to make a donation of something for our tombola stall please send items in as soon as possible or if its cake/biscuits send them in the day before please. 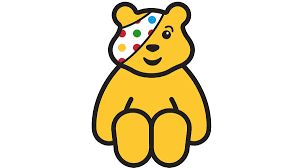 If you are unable to attend you can still donate to BBC Children in Need by sending a donation in with your child/young person to purchase Children In Need merchandise (this includes £1- wrist bands, £2- plush ear headband) We are aiming to raise even more money this year to support disadvantaged young people across the UK.